Lyrical Pens kicks off our new Welcome Wednesday series for guest posters with energetic writer, counselor, runner, and dog lover, Kelly L. Stone. We are delighted to have Kelly back this year. 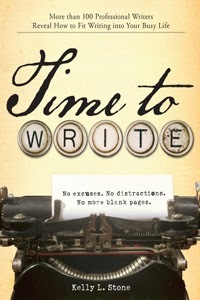 Her online class, No Matter How Busy You Are, You Can Find Time to Write, begins Monday, January 27, 2013. 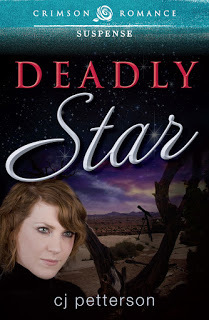 To register or for more information, www.AuthorKellyLStone.com. 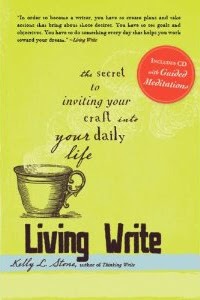 Living Write: The Secret to Bringing Your Craft Into Your Daily Life. Answer this question: Why do you write? Whatever your answer is, whether it’s to achieve a lifelong dream of seeing your novel on a store bookshelf, to pen your family’s memoirs, or for the simple pleasure of capturing an experience on paper, your answer to ‘why do I write?’ is what I call your Burning Desire to Write. It’s the sense of fulfillment you derive from writing. It’s that ants-in-the-pants feeling you get when you don’t write. It’s the deep abiding need that only the act of writing will satisfy. It’s what makes you a writer, because writers can’t not write. 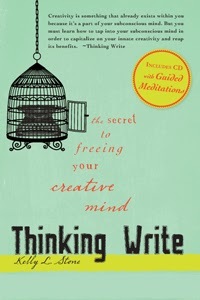 Your Burning Desire to Write is also a manifestation of your self-image, or your self-esteem. When you feel good about yourself, you do things on a regular basis, like writing, that reinforce those positive feelings. Even thirty minutes a day spent working toward a goal has been shown to elevate a person’s general sense of well-being. Your self-image as it relates to your writing goals, your answer to “why” you write, also gives you a reason to pursue those goals. It doesn’t have to be a lofty reason. Many people write because it brings a solace that nothing else can. 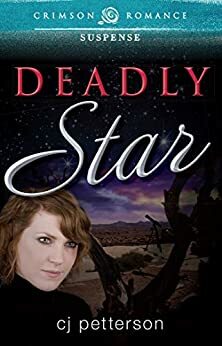 Bestselling author CJ Lyons began writing her medical thrillers out of despair when a fellow intern and close friend was murdered. I write because working every day toward my goals adds value to my life. I feel like I’m living up to something, and that makes me feel good. 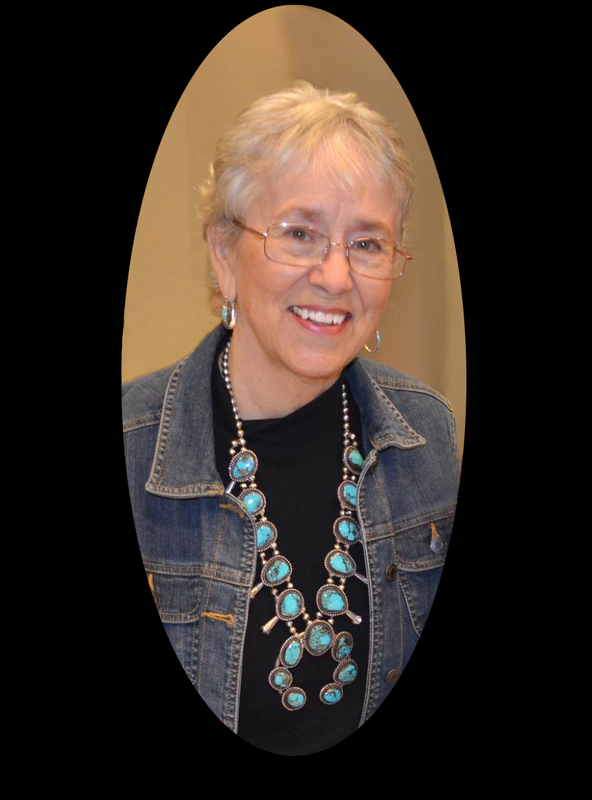 Writing helps me understand life and all that living entails: happiness, joy, grief, and loss. Honoring your “why” is the best way to nourish your writer self-image and your Burning Desire to Write; it’s a good way to stick to your goals and keep up the self-fulfillment that writing provides. Try the exercise below to honor your writer self-image. Read through the exercise once, then practice. Find a comfortable place to sit where you won't be disturbed for about 30 minutes. Have a pen and a notepad with you, or a journal, or if you prefer to type a blank page open in your Word files. Close your eyes and begin to notice your breath. Don't force your breathing, simply watch it. Next begin relaxing the major muscle groups in your body. Start with your feet, and imagine that they feel heavy and warm. Then move that heavy warm feeling to your legs, your stomach, your chest, your arms and shoulders, then your back, and end with your head and neck. Between each major muscle group, return to watching your breath for several inhalations. When you're done relaxing all the muscle groups sit quietly for a few minutes and enjoy the relaxation. Then turn your focus to this question: why do I write? Allow whatever comes up to rise into your awareness. Keep focusing on the question: why do I write? Notice thoughts, sensations in the body, emotions that arise and pass. Whatever comes, let it rise and pass, like waves on the ocean. After a few minutes, open your eyes and begin to write about what you experienced in this relaxed state while asking yourself, why do I write? Note down the emotional reasons that came to you; perhaps writing makes you feel good about yourself, or it leaves you with a fulfilled feeling. Next write about why all these reasons make you a writer? What does this say about who you are as a writer? Give some thought to your writer self-image, and note down all your thoughts and feelings. When you feel done, get up and stretch, or have a cup of tea, or go for a walk. Allow some time to pass. Then go back and read what you wrote. Hone in on what makes you tick as writer. That's where your heart is, where your writer self-image comes from; it’s also your Burning Desire to Write. That's what will keep you going on your writing journey. 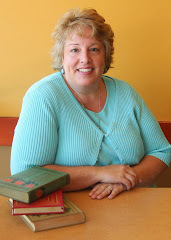 Be sure and sign up for Kelly's exciting online class that starts January 27, 2014. And give Kelly some feedback in the comment section about her post and if the exercise works to help you find your inner scribe. She led us through a similar exercise when she spoke at a Mobile Writers Guild meeting and it was very relaxing! Then we were searching for a muse to lead us to writing and I ended up at the beach. Perfect spot for me since most of my writing takes place near water!